Coach Tulin is a plus size health and fitness motivator and mentor. She advocates for those starting or re-engaging in fitness. Her mantra is “fit has no size” and is dedicated to bridging the gap between those that are plus size and the health and fitness industry. Coach Tulin has always been a supporter of plus size women having been a plus size model, consultant for several plus size brands, as well as a plus size magazine executive, and marketing professional. Coach Tulin believes that plus size women pursuing a healthy lifestyle should be appealed to, not dismissed as a “before picture” as we often see in advertisements. It is her personal story that allows her to identify those challenges that plus size women face.From battling anorexia as a teen and later binge eating, as well as having struggled with PCOS, Insulin Resistince, and hypothyroidism, Tulin is able to not only lend commentary, but is able to help create action in others. Coach Tulin’s approach is in the complete embrace of the journey across a broad spectrum of disciplines, that leads to lasting results and change for Plus Size women across the globe. 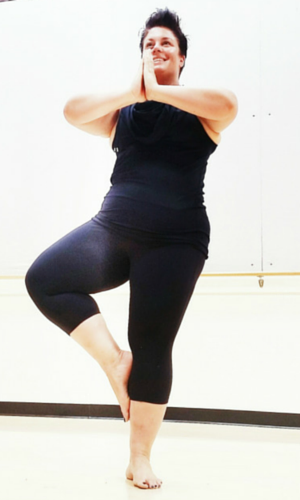 Her passion stemmed from her own frustration at over 330 lbs. Coach Tulin realized that the missing element that kept many people from taking care of their health or quitting in the early stages was their own mindset. 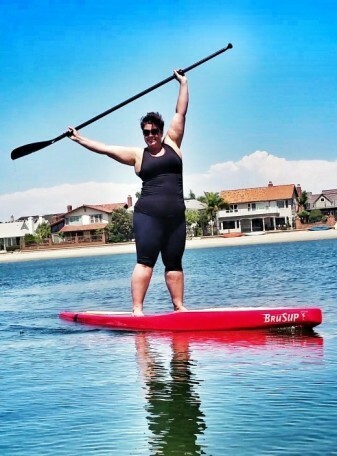 By following Coach Tulin’s example, plus size women are learning to love and accept themselves starting day one. For the first time, women learned to no longer wait to live life when they reach a certain weight on the scale but to love themselves during their journey. She advocates that all women, regardless of where they are on the size or fitness spectrum, are on a journey and that we are much more alike in our thoughts, feelings, and struggles, than different. Through this process she has empowered women to try and do the things they have dreamed of while embracing the power of modification and challenging themselves daily. No one was sharing what their plus size body looked like, sounded like, and felt like during the journey to fit. There were “before” and “after” photos but nothing that chronicled the raw emotional journey in between.Coach Tulin committed to sharing her journey online initially for personal accountability. As a result, she decided to share her successes, trials, and perseravance with those who share a similar struggle. This led to inspiring hundreds of thousands of woman. Coach Tulin helps women to focus on health gains vs. weight loss, to embrace their journey to fit, and to celebrate non-scale victories. She has been a fresh voice, and support, for those whom have been afraid to speak theirs. Tulin’s personable approach has led to her success by targeting the social stigmas that come with being a plus size woman. Coach Tulin recently re-launched her website www.coachtulin.com to help more Plus Size women in their journey to a healthier, fitter, and fulfilling life!